Dr Tess Hardy is a Senior Lecturer at Melbourne Law School, Co-Director of the Centre for Employment and Labour Relations Law and an Australian Research Council Discovery Early Career Researcher Fellow. Tess’ research spans the fields of regulatory theory, contract, labour law and competition and consumer law, with an emphasis on empirical research and practical solutions. In November 2017, Tess was awarded ARC funding (DE180100279) to further her research into the regulation of work in franchises. Tess has previously held an appointment at RMIT University and has worked as a consultant for the International Labour Organisation. From 2010 to 2013, Tess was engaged as a Research Fellow on an ARC Linkage Project (with partner organisation, the Fair Work Ombudsman) which considered the role and operation of the federal labour inspectorate in Australia. From 2005 to 2010, Tess worked as a lawyer and senior associate at a number of national law firms, and large companies, in Melbourne, Tokyo and Hong Kong. Her practice was principally in the area of workplace relations law. Tess holds a Doctorate of Philosophy in Law from Melbourne Law School. Her PhD thesis undertook an empirical examination of collaborative compliance initiatives between the federal labour regulator and a range of non-state actors, including unions, employer associations and lead firms. 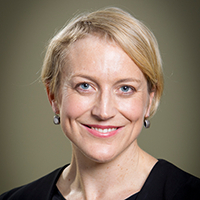 Tess also holds a Masters of Law, a Bachelor of Law (Hons) and a Bachelor of Arts from the University of Melbourne. In 2017, Tess held a visiting appointment at Magdalen College, Oxford University as part of the Allen Myers Melbourne-Oxford Academic Exchange. She was previously the Associate Editor of the Australian Journal of Labour Law and currently sits on the national committee of the Australian Labour Law Association.